Good communication between employers, injured workers and their treating physicians is one of the key pillars of successful return to work. 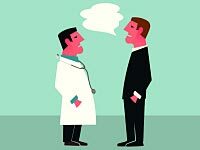 But a new Institute for Work & Health (IWH) study of employers’ perceptions in the Australian state of Victoria finds the relationship between employers and physicians can be marred by mistrust and lack of communication. At IWH, we’ve heard it time and again: practitioners and policy-makers who could benefit from our research often learn about it through personal networks. That’s why stakeholder networks form such an important part of IWH’s Knowledge Transfer and Exchange activities. 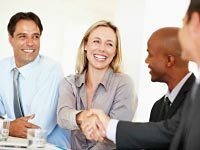 Read about the different networks IWH maintains in the latest At Work, and hear why network members find them so valuable. Ever noticed that you’re not hearing about the health and safety risks faced by young workers as much these days? Ever wondered why you’re more likely now to hear health and safety messages targeting new workers? 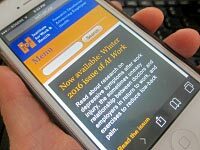 That shift in focus is an example of how research at IWH has helped Ontario’s work injury prevention system reframe its communication strategies. The story of this research impact is now told in a new case study, one of four recently posted on our website. Four out of 10 Canadians with fibromyalgia manage to stay in the labour force, despite considerable challenges. How do they do it? A study by Dr. Margaret Oldfield examines the strategies used by women with this invisible condition to make decisions around divulging their illnesses at work. In a recent IWH plenary, Oldfield shared those strategies and discussed implications they have on the use of work supports and accommodation. This plenary is now available as a slidecast on IWH’s YouTube channel. Have you noticed? IWH’s website is now mobile friendly. With a recent upgrade, our website is now designed to be read across a range of devices—from desktop screens to tablets to mobile phones. So go ahead, take our research findings with you to read at the café, on the bus or in the boardroom.